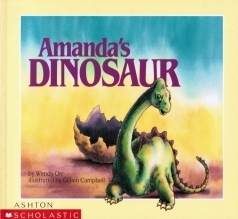 Although Amanda lives on a farm with cows, pigs, chickens, and dogs, all she really wants is a dinosaur. One day she finds a giant egg . . . tap, tap, tap, out pops a baby dinosaur. Now the farm has another huge mouth to feed.